There are a number of methods to ensure that toddlers eat healthily, and there’s probably been no other time in human history when it’s been more important to do so. Child obesity and all its associated metabolic diseases are hitting children at ever younger ages 1 2 3 . Whilst it’s so easy to blame Big Business and national governments, the primary responsibility for ensuring our children grown up healthy is now, as it always has been, mostly in the hands of their own parents and carers. 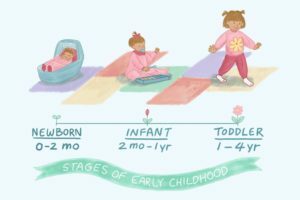 The most important time to ensure the development of healthy eating habits is arguably during the early weaning process – that is, the period when the baby is transitioning from mother’s breast milk to solid food. I am taking for granted that we would all agree the newborn’s ideal first nutrition (for around the first 6 months) should always be exclusively mother’s breast milk whenever possible. All the evidence points in this direction 4 5 6 . Between around 6 and 12 months of age, the infant will be introduced to “solid” food. It’s during this stage that major mistakes can be made, and bad eating habits (food high in calories and low in nutrients) can be set in motion. 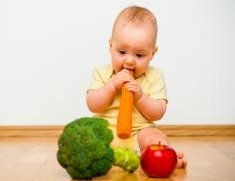 If, however, appropriate food (high in nutrients and sufficient in calories for growth) is introduced, ingrained bad habits within the infant and toddler stages can be avoided, with the remaining years of childhood (and probably adulthood) thus standing a much better chance of being free from the need to put endless effort into undoing such habits – yo-yo dieting, continual fighting to escape the pleasure trap, with all its tempting and addictive bliss points 7. Children who grow up seeing their parents and carers forever on diets or bingeing on unhealthy foods is not something that will act as a good example. One recent story I heard was of a nutritionist who was asked to intervene in a family where the young child refused to eat anything that even appeared to be a vegetable or a fruit, preferring instead to eat a diet existing more or less solely of sweets, crisps and cakes. 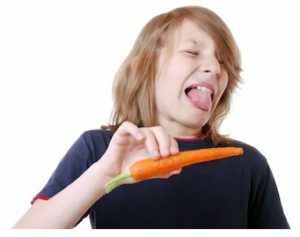 The nutritionist advised that containers of bite-sized carrots and celery be left around the kitchen for the child to be attracted to eat. The nutritionist then walked past the veg and said something along the lines of “Oh look! How lovely! Carrots. I love them” and then tucked into them with glee. When the father was asked to do the same, as a means of giving positive feedback to the child, he picked up a carrot, bit into it and pulled a face that would have been better suited to a person who had just swallowed a bumble bee. 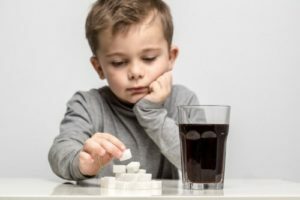 Naturally, the child saw his father’s reaction and the nutritionist could immediately identify the major reason that the child had developed such unhealthy habits. Even from the youngest age, infants will be influenced by the sorts of foods they encounter. This isn’t just a matter of flavours, but also of smell, texture, colour, and general variety – the colours of the rainbow. The relationship parents and carers have to matters relating to food preparation itself will have an effect on the growing child. 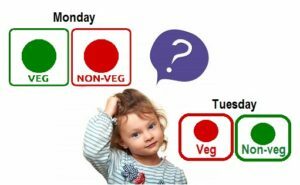 Involving the toddler from an early age in making meals and understanding the nature of different foods can be of great help in ensuring the child grows up with knowledge about and control over dietary matters. Any parent will find that toddlers simply love experimenting with the selection and preparation of food. 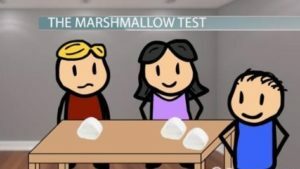 This playful experience is a great way for them to try different foods in the kitchen. It, along with meal times, should be a fun way to spend time with the family. 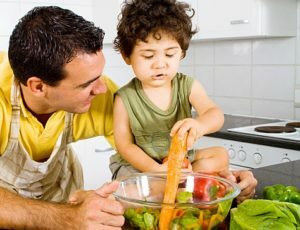 The idea of simply placing already-prepared meals in front of a toddler may be attractive in terms of saving preparation time; however, doing so would tend to miss the exciting and productive times when he or she (or a group of toddlers, be they friends or siblings) could be involved in handling, selecting, chopping, peeling, and even cooking (with careful supervision, of course). I remember that when I was young I asked my mother what tongue was – you know, those greyish-red slices of meat that bear no resemblance to that huge, dripping muscular organ lolling out of the mouths of cows. I’d been eating it for years and it hadn’t dawned on me that what we called slices of tongue was actually part of a dead animal. I mean, they called candyfloss candyfloss, but you don’t floss candy with it! Anyway, once I discovered what it was, I never touched it again. Had I been responsible for cutting it out of the mouth of the dead cow and then slicing and boiling it, perhaps I would have developed an aversion to it at an even earlier age. Who knows? Avoiding the temptation to give in to a toddler’s potential demands for sweets and treats is increasingly difficult for parents, what with the ubiquitous advertising campaigns and availability in toddler-height shelves in most shops these days. Even when it comes to those special times, it’s still so important to avoid making unhealthy junk foods a treat or a central part of festivals, birthdays and other celebrations. If a toddler grows up thinking that a real treat is enjoying a healthy salad rather than being thrown a bag of prawn cocktail crisps or a bag of Haribo Starmix, it’s a pretty good indication that something has been done right! Of course, parents themselves have to engage in the same fight with sweet and junky temptations that they may well have had since their own childhoods. In this case, fighting one’s own natural desires for sweet indulgence is a preface to allowing one’s children to grow up with more freedom from cravings and learned preferences associated with such toxic foods. And it hardly needs saying saying that using foods in any way to establish or maintain emotional control is to be avoided. As soon as emotional states (positive or negative) are inextricably linked to food, problems can arise. The art of developing a sense of well-being which is separate from the need for oral satisfaction is something that one would wish all children to learn at an early age. It allows them freedom to seek emotional satisfaction and achievement in other more productive spheres of life. 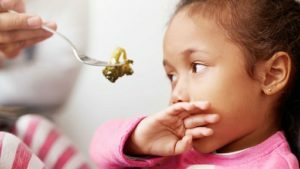 Thus, it’s useful for toddlers to grow up learning that they eat when they are hungry – not when they are forced to do so or because they are bored or depressed. In any case, toddlers have tiny stomachs which, if filled with unhealthy foods, will leave no room for more essential nutrients. This is where portion control comes into its own. In order to ensure that the toddler does not get used to over-eating, the type and quantity of foods they are presented with should be taken into consideration. Just as there should be no justification for “forcing” an infant or toddler to eat something that he or she does not want to eat, it is equally unhelpful for them to force food down when their body is telling them that they have eaten enough. Allowing infants and toddlers to exercise some choice in the foods they put into their mouths is advisable – so long as the selection is from healthy and interesting foods. If they don’t want to eat at the moment, fine – be patient and wait until they feel hungry. In the meantime, they can see their parents enjoying the same sorts of food, without having made a big issue of the child’s not eating at that moment. A relaxed atmosphere around the dining table is always likely to produce healthy and easy-going dietary habits in the child. 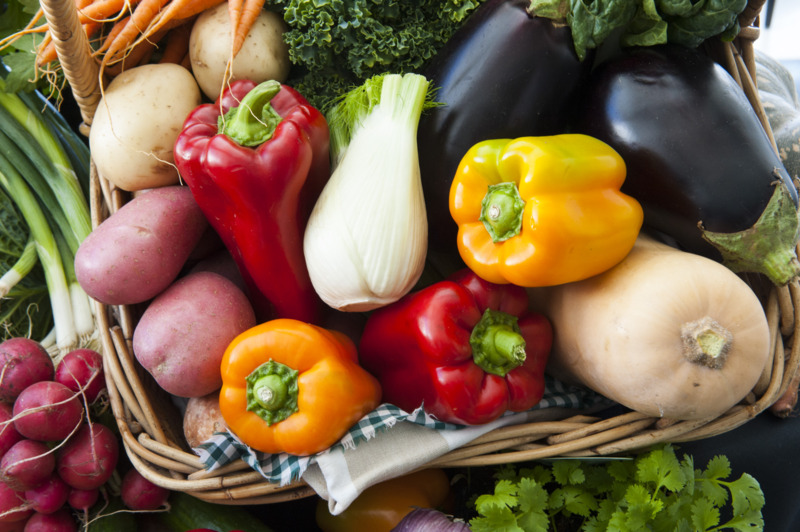 When hunger hits and ‘seconds’ are required, they should be from a selection of vegetables or fruit. If the toddler wants more immediately after having eaten their meal, it might be a good idea to encourage them to wait for a little while in order to let the food “settle” – allowing leptin to do its job 8 – before they have extra portions. Learning portion control early in life is a useful means of preventing over-eating in future years. This is not usually a problem, however, with those who eat a non-SOS WFPB diet, since the range of foods within this dietary regime tend to be self-limiting. It’s only when the stomach is filled with high calorie/low nutrient alternatives 9 that over-eating is something that parents should be really concerned about – both for themselves and their children – being that processed foods are carefully manufactured to be addictive “pleasure traps” as they hit those “bliss points” 10 . Learning ‘satisfaction-delay’ is a really good skill for children to learn young. If a toddler gets what he or she wants immediately upon request, they don’t learn how to delay pleasurable experiences, and learning how to live with the delayed pleasure of eating is a useful skill that spills over into most aspects of child and adult life. Introducing a variety of foods is important and, as stated before, not forcing a child to eat a particular food, if they feel a strong dislike for it, is a sensible move. The chances are that they will change their minds later and try the foods if they see adults enjoying them and not making an issue of them. Patience is the key. This planet of ours grows so many wonderful edible plants that finding alternatives should never be a problem for the attentive parent. Whilst toddlers are, of course, too young to receive pocket money and run the risk of spending it on sweets etc, any food choices they are able to make at this young age should be from as healthy a range of options as possible. This means keeping only healthy foods in the house and trying to avoid the aisles in supermarkets which draw their attention to unhealthy foods – unfortunately, this is virtually impossible in the modern Western food shopping experience. 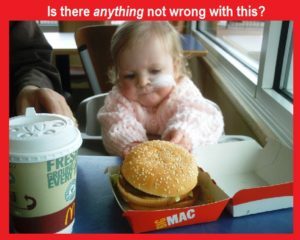 Parents should make their dietary rules very clear to any carers who take responsibility for the toddler. 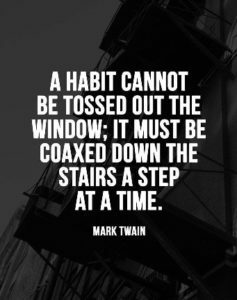 Bad habits learned from carers can cause conflict in the child when they return to their parents and find that they are being told a different story about what dietary habits are or are not acceptable. This applies to both the type and quantity of foods themselves and the regularity and form of dining habits. In terms of drinks, toddlers should not get used to filling up on sugary drinks. It should go without saying that infants receive their best source of liquids from their mother’s breast milk. Providing drinking fluids during weening is, of course, a natural and essential route, so long as the liquid provided is plain water. It’s hard to find any authority that would advise parents to give their toddlers fizzy/sugary drinks. The best thing is to avoid all sugary drinks completely so that the child becomes accustomed and perfectly content with simple tap water. Parents would be wise to do a bit of careful research before deciding to follow the crowd in giving their toddlers cow’s milk. Parents usually feed cow’s milk to their children because they had it themselves and it’s something that is, well, just done! However, much of this is based on an arguably inaccurate belief that cow’s milk is necessary to ensure children get enough calcium 12 . There are some pretty convincing arguments, based on solid research 13 12 , that would caution against feeding cow’s milk to your child, especially when there are plenty of fortified plant milk alternatives 14 to choose from. It may come as a surprise to some people, but even fruit juices are not an ideal drink 15 , especially if they have added sugar or artificial sweeteners. If, however, they are to be given to toddlers, they should be diluted with water. The foregoing is by no means a comprehensive overview of the many ways in which parents can encourage healthy eating habits in their children during the earliest stages of their lives. For my part, I wish my parents had followed even a few of the ideas outlined above. My overly sweet childhood diet resulted in countless rotten teeth and fillings during my adolescent years. This has been accompanied with a life-long struggle against using sweet and fatty junk foods as a reward for a tiring day, a pick-me-up when feeling a little low, and a treat whenever there’s a “y” in the day! This is why engendering good dietary habits from a young age is so very important. It’s easier to do the right thing when you don’t have to continually undo the wrong. 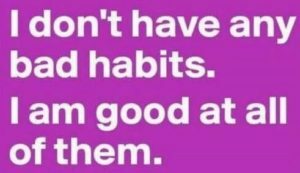 I wouldn’t wish on anyone a lifetime of being good at bad habits. Previous Previous post: Improve Blood Flow By Hanging Upside Down?